Dr. Yusuf Ziya Kavakci was born in 1938 in Karacokek, Hendek, in Sakarya Province, Turkey. He was trained in traditional Ottoman scholarship in Tajweed, Qira’ah, Arabic, Tafseer, Hadith,Fiqh, and applied Islamic Sciences. He is a certified Hafidh, Wa’iz, Mufti, Muadhin, and Imam who proceeded to obtain degrees in Law and Islamic Studies, PhD. in Islamic history and culture, and board certification in Law. As a senior faculty member at Istanbul University, Dr. Kavakci helped establish the first college of Islamic Studies in modern Turkey, now part of Ataturk University. As a full professor in Islamic Law, he chaired various departments including those of Tafseer, Hadith, and Fiqh, and moved on to serve as dean of the college. In 1988, due to the ban on Hijab in Turkey that affected his family, Dr. Kavakci migrated with his family to Dallas, U.S.A. He took up the position of Resident Islamic Scholar, Spiritual Leader, and Imam at the Islamic Association of North Texas (IANT) where he served the Muslim community of North Texas for 25 continuous years with full dedication, loyalty, and commitment, as their guide, teacher, mentor, and visionary. 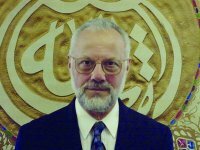 Dr. Kavakci was the founder, teacher, and first principal of IANT Quranic Academy (IQA), the founding Dean, and instructor of Suffa Islamic Seminary, and the founder and president of the Islamic Tribunal. He wrote several books on Islam and Islamic Law, lectured prolifically at Muslim and non-Muslim and events alike, and touched thousands of lives. In October 2013, at the age of 75, Dr. Kavakci stepped down from his stellar career and moved back to Turkey to a life of retirement in seclusion and peace. We were truly honored, and deeply humbled, to have Dr. Kavakci as our leader for a quarter century. We sincerely appreciate his service to us, as well as those of his family – including his wife Sister Gulhan, who also served the IQA community, his daughter Merve, who championed wearing the hijab as a member of the Turkish Parliament, and her sisters Ravza and Elif Mina, who all grew up amongst us in the IANT community. We greatly cherish their memories, and love and respect them as our own. We pray that Allah SWT bless them with the very best in this world and the next, and unite us all in Jannah. Ameen.